Maroon 5 stand out as not only one of pop music’s most enduring artists, but also one of the 21st century’s biggest acts. To date, the universally renowned Los Angeles band have achieved three GRAMMY® Awards and become “the most successful group in the history of the Billboard Hot 100” with 12 Top 10 entries, earned 20 Top 40 hits making them the only band to ever do so, sold over 36 million albums, 48 million singles worldwide, and earned gold and platinum certifications in more than 35 countries. The band won over fans and critics alike with the hybrid rock/R&B sound they introduced on their debut album, Songs About Jane and their double platinum album, It Won't be Soon Before Long. 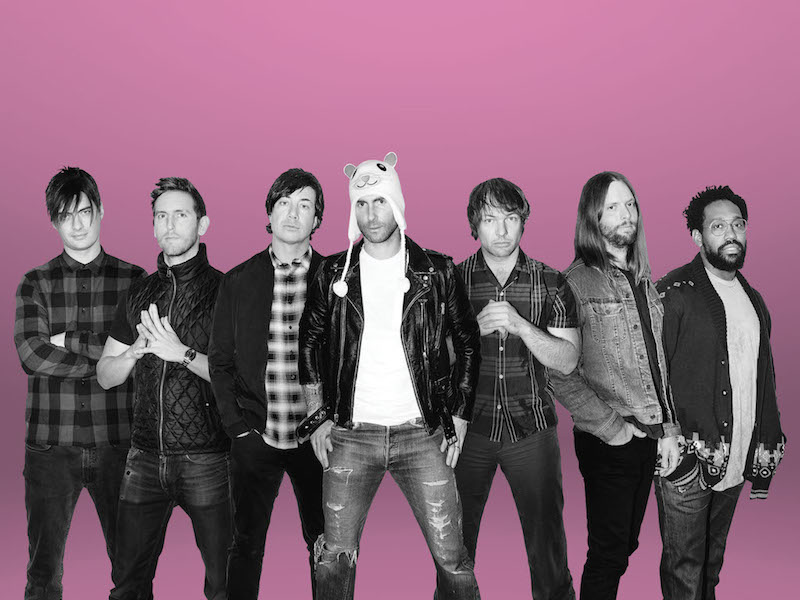 Maroon 5 went on to release studio albums, Hands All Over, which featured the anthemic “Moves Like Jagger,” and Overexposed. The band’s fifth studio album, V, debuted at #1 on Billboard’s Top 200 chart and featured the #1 hit singles “Maps,” “Animals” and “Sugar,” helping the band set a record for the most #1’s by a group in the Top 40 chart’s 20-year history, with 9 in total. The music video for the album’s GRAMMY- nominated single "Sugar" has notably logged a record setting 2+ billion views to date.